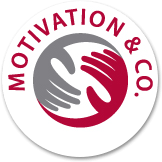 Motivation & Co. is a National award winning company that specialises in physical and cognitive therapy. Yesterday at the Doncaster and district MS groups drop in centre in The Assembly Hall, Kirk Sandall, we were introduced to MOTIVATION & CO who specialise in Physical and Cognitive Therapy. During the session we took part in quizzes and seated physical exercises tailored for the disabled, i can safely say that everyone took part enthusiasticaliy a great time was had by all. I look forward to our next session.